American School is celebrating its 10-year anniversary of exhibiting at the American School Counselor Association Conference June 28-30 in Phoenix. American School is thrilled to be marking its 10th anniversary of exhibiting at the American School Counselor Association Conference. To celebrate, American School is inviting counselors to booth 711 on June 28 from 6:30-8:30 p.m.; June 29 from 8 a.m.-4 p.m.; and June 30 from 8 a.m.-2 p.m. to learn more about its independent study programs and have a chance at winning a $100 Visa Gift Card. All events take place at the Phoenix Convention Center. "When we first went to the ASCA Conference in 2006 in Chicago, the response was overwhelming. We wondered what took us so long to exhibit at the show," American School President Gary R. Masterton said. "Every year since, we've attended the show and literally have been to all corners of the country: Seattle, Boston, Orlando, and now the Southwest. We're excited to offer our accredited high school courses to counselors so that their students can graduate on time." 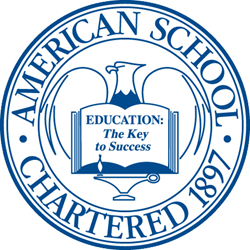 In 2006, American School offered only paper-based courses, and while it is happy to offer courses in a traditional learning method, American School is just as happy to offer online courses and online exams in its paper-based courses for those students who prefer to learn in more modern ways. The cost of individual courses for credit recovery or enrichment is between $150 and $300 and courses are offered in a variety of disciplines, from core subjects such as English, math, science and social studies, to electives in fine arts, business and technical education, and world language, including online world language courses through Rosetta Stone. In addition, guests who stop by American School's booth with ASCA's Treasure Hunt card will get their card stamped and be entered in a raffle to win a $100 Visa gift card. American School is accredited by MSA-CESS, Ai and NCPSA. It also is recognized by the state of Illinois as a non-public high school and serves students in all 50 states and around the world. For more information, visit http://www.americanschool.org/independentstudy or call 708-418-2800.